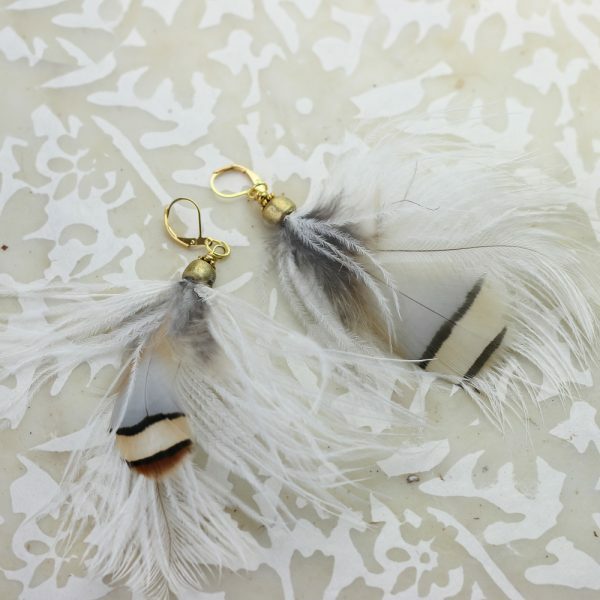 Natural Feather Earrings with Ostrich and Pheasant Feather. These are large statement earrings but very lightweight. – Earrings hooks are gold.